Why would I need self storage in Hyde Park, MA? There are a variety of reasons why you might need self-storage in Hyde Park, MA. How much is a storage unit in Hyde Park, MA? The cheapest storage unit in Hyde Park, MA is $89.00 per month. What size storage units do you have available in Hyde Park, MA? In Hyde Park, MA we have sizes that range from 5'x5' to 10'x10' to suit your storage needs. How much is it for a 5'x5' storage unit in Hyde Park, MA? The cheapest 5'x5' storage unit in Hyde Park, MA is $89.00 per month. Hyde Park is Boston's southernmost neighborhood, a diverse urban community with comfortable suburban elements. The neighborhood's motto is "A Small Town in the City," a nod to its cozy, suburban feel within the hustle and bustle of the big city of Boston. Hyde Park features historical architecture, recreational amenities and a thriving arts scene. Hyde Park started as a town in Norfolk County after it emerged from the consolidation of three other Massachusetts towns in 1868: Dedham, Dorchester and Milton. The town's borders were amended and altered several times until nearby Boston annexed it in 1912. Afterward, Hyde Park became a neighborhood of Boston rather than a distinct township. Originally used as open farmland, the Hyde Park area began to see commercial and industrial growth in the 1850s. It offered affordable housing opportunities as well as a way to make a living for new families. The adjacent Neponset River served as a significant advantage for early residents, as did the fertile soil. Most of the early residents lived in detached, single-family houses, many of them in the Italianate and Victorian styles. A number of those historical homes still exist as a testament to the affluence of Hyde Park's early residents. The Hyde Park Co., a team of real estate developers, was responsible for much of the town's growth until its annexation. The Civil War brought a brief pause to development in Hyde Park, as the Union Army used the town for barracks and other purposes at Camp Meigs, which now serves as a historical memorial park. When Hyde Park joined forces with Boston, it became even more attractive to prospective residents, and growth has been steady ever since. As part of Boston, Hyde Park offers easy access to the city's many amenities, as well as a cozy, neighborhood atmosphere. Restaurants and shops dominate Hyde Park's commercial districts. Whether you're in the mood for a casual cup of coffee or an upscale evening meal, you won't have to venture beyond the neighborhood's borders to find what you need. Public transit is also extremely accessible, so if you don't have your own vehicle, you can rely on the neighborhood's many bus stops and routes. 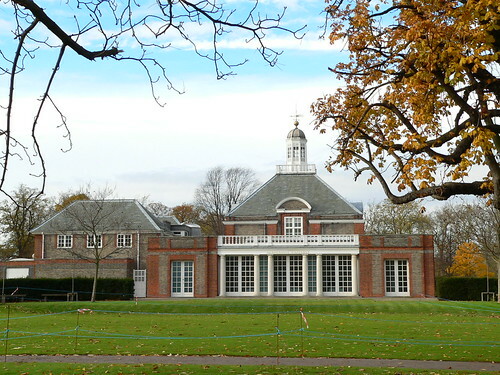 More than 10 public parks and playgrounds can be found within Hyde Park, including an array of open green spaces. The Stony Brook Reservation is one of the largest of these parks, stretching over 400 acres and offering several miles of walking and hiking paths. Hyde Park also offers a golf course and a community center, where you can sign up for sports, fitness classes and more. The Boston Public Schools system serves Hyde Park schools. The district is known for creating highly successful initiatives, such as Parent University, that have boosted graduation rates and increased educational opportunities for local children and teenagers. Or you can enroll your child in one of several public charter or private schools in Hyde Park. If you're looking for somewhere to pursue a college degree, Hyde Park is home to Boston Baptist College, a private four-year campus. Utilities: Eversource and National Grid are the major energy providers in the Hyde Park/Boston area. The Boston Water Department oversees residential water services. Garbage and Recycling: Residential trash and recyclables collection is a standard service throughout Hyde Park and Boston. The city's website and smartphone app will provide more information about your neighborhood's specific collection schedule. Transportation: Hyde Park is part of the MBTA's commuter rail and bus network, which makes it easy to get around the city without needing a personal vehicle. Homes in Hyde Park tend to hold their value well, which makes it an excellent neighborhood in which to invest in real estate. The cost of living in Hyde Park is on par with the rest of Boston and lower than several other Boston neighborhoods, but is significantly higher than the Massachusetts averages. A large number of multi-family houses and apartments make up the Hyde Park housing market, but you can also find single-family homes for a more suburban feel. Our lowest priced units in Hyde Park, MA average $89.00 per month. 52 people have reserved units in Hyde Park, MA in the past 30 days. There is 1 location within Hyde Park, MA's city limits.